A pioneer of rugby in Abbotsford, Ken Peace’s stellar playing career spanned four decades. Peace began playing locally but soon moved up to play on the B.C. Presidential 10s team. 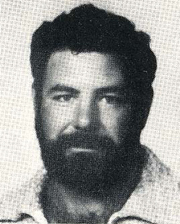 In 1978 he made his Canadian senior national team debut against France, and continued as a member of Team Canada from 1978 to 1981, playing international matches against Samoa, Fiji, France, and Wales. Peace was captain of the Nike Worlds Masters championship-winning team in 1999, capturing gold at the prestigious tournament in Portland.